Larry Sherrer was a running back out the Universityh of Hawaii. Sherrer played in the Hulu Bowl in 1971 and an honorable mention as a small school All-american. Sherrer signed w ith the Montreal Alouettes in 1973, but an injury before training camp kept him out for the season. Sherrer returned to the Alouettes in 1974, playing three games. Sherrer also played in the 1974 Grey Cup as the Alouettes beat the Edmonton Eskimos 20-7. Sherrer scored the only touchdown of the game for Montreal. Sherrer sufered a severe pelvic injury in the offseason after 1974 and missed the entire 1975 season. 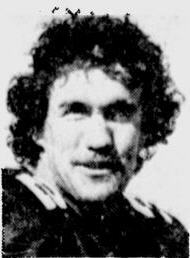 Sherrer did return to play one game for the BC Lions in 1976. Sherrer is a member of the University of Hawii Sports Hall of Fame.